After stuck in the jam for like 30 minutes I need a cold drink to chill first, so we started our makan-makan trail at Tealive. Kevin, Isaac, Wendy, Ivy and me Well we tried Tealive’s National Treasures, each of us have different drinks. There are Lychee Sago Tea Smoothies RM8.50 (L), Signature Brown Sugar Pearl Milk Tea RM6.50 (R) and RM7.50 (L), Sparkling Mango with 3Q Jelly RM6.50 (R) and RM7.50 (L) and Superior Coco RM6.50 (R) and RM7.50 (L). Each has their own signature taste and I quite like my Lychee Sago Tea Smoothies it got the refreshing and sweetness of lychee with the sago texture to bite. Hah! next stop must be our desertholic, Wendy’s favourite spot. So we were here in Wondermilk wow so many delectable cupcakes to choose from… can I have them all. They are so pretty especially that unicorn cupcake. Oh ya by the way, do you if you Buy 1 box of Cupcakes (max 6pcs) you will get the 2nd box for 50% off. Wahh… it’s time for cupcakes party this weekend. Feeling a little bit hungry because it’s dinner time! 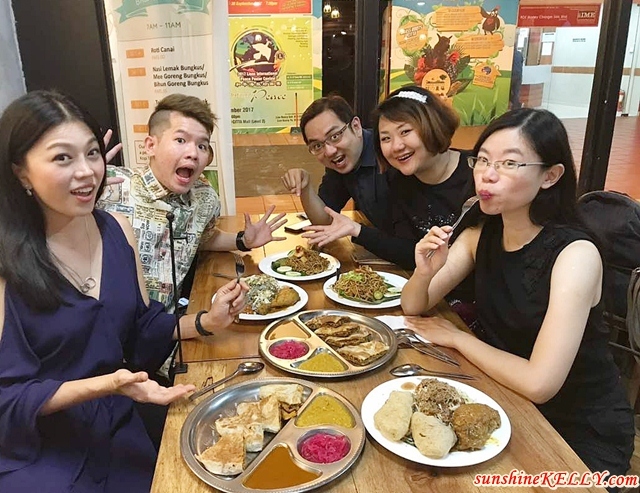 We hop over to next door which is Teh Tarik Place serving Malaysian comfort food with distinct flavours. 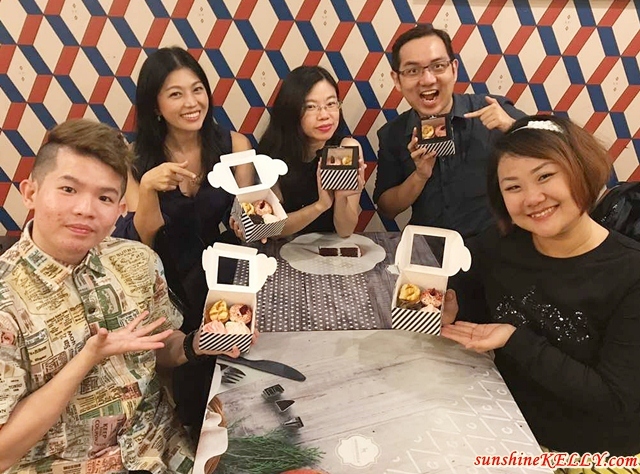 When you think of local cuisine the first dish that comes to your mind is nasi lemak right. Well at Teh Tarik Place they got more to offer, we love the generous portion of Nasi Kerabu with the sambal so pedas and ayam percik. 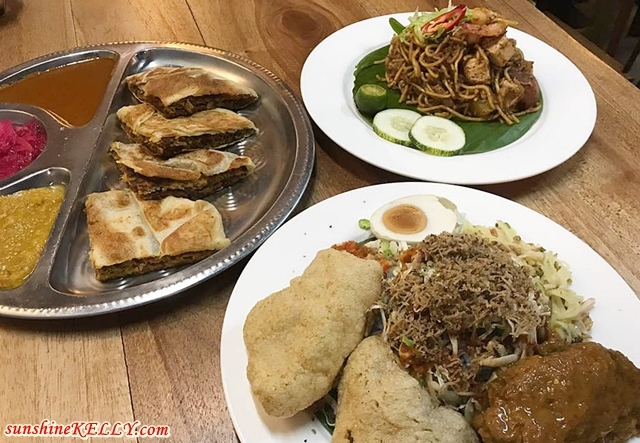 Plus their Mee Goreng Mamak and Murtabak Chicken or Mutton are also delicious and great for anytime of the day. Currently Teh Tarik Place is having Lunch Promotion for RM9.90 you get a chicken, vegetables, white rice and a drink either sirap or the o ais. Wootz! and finally this is our last stop and my most favourite seafood restaurant, Unique Seafood. They have all the live and fresh seafood including the lobsters, king crabs, and many more. Look at what we had for our scrumptious dinner, omg… I love crabs! We had Chili Crab Unique style, the fresh and huge crab. Of course the crab meat is juicy and sweet, I miss every bite of it. We also had the poached live prawns are so fresh till we can’t stop eating them. And here is our last main dish! steamed Marble Goby fish with soya sauce. You can get 20% off for Marble Goby fish that is less than 1.2kg and also Soon Hock Fish promo on 1/9/17 to 31/10/17.